Communication and management are closely linked with each other. Communication is directly related to the basic management functions of planning, organizing, leading and controlling. Evaluating business environment, preparing plans and making decisions require communication. 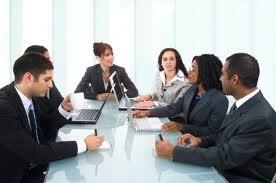 Delegation, coordination, supervision and organizational development-all are done by means of communication. Developing reward system and interacting with subordinates as a part of leading function would be impossible without communication. Establishing standards, monitoring performance and taking corrective actions as a part of control also requires communications. Therefore, communication is termed as the life-blood of an organization. Bartol and Martin said that managers spend most of their time communicating in one form or another. Griffine stated that communication is a pervasive part of virtually all managerial activities. Studies reveal that managers spent 74 percent of their working time in oral communication. Interpersonal role: Interpersonal role implies interacting with superiors, subordinates, peers and other outside parties of the organization. Performing interpersonal role requires continuous communication with these parties. Decisional role: It requires manager to seek out information to use in decision making and then communicate those decisions to others. Informational role: Informational role focuses on acquiring and disseminating information. In fine, it can be concluded that performing managerial roles and functions requires information from various internal and external sources. Therefore, managers must engage in communication. For this, it is said that none can perform management functions without communication. a goal-oriented direction, setting you apart from the competitors. So unless any organization completes the formalities and find the necessary certifications they can’t start their business. of work experience being a writer and in addition working with drop shippers inside a variety of entrepreneurial ventures.